At some point in Gimme Shelter’s life, a previous owner converted the icebox into a refrigerator. However, they didn’t bother to insulate the lid of the icebox. It’s still just a piece of plywood. Most of the time, this works fine. However, when the outdoor temperatures start swinging to far one way or another, it has consequences. In the hottest part of the summer, we can’t leave the refrigerator running during the week while we’re not there because the temps inside the boat get too high, and the compressor never cycles. This ends up running the batteries flat despite being on a charger. We lost them last summer, and we almost lost them again this summer before we finally figured out what was going on. In the coolest parts of the winter, which really isn’t THAT cold in Houston, we get the opposite problem. If we leave the refrigerator on, everything ends up frozen. 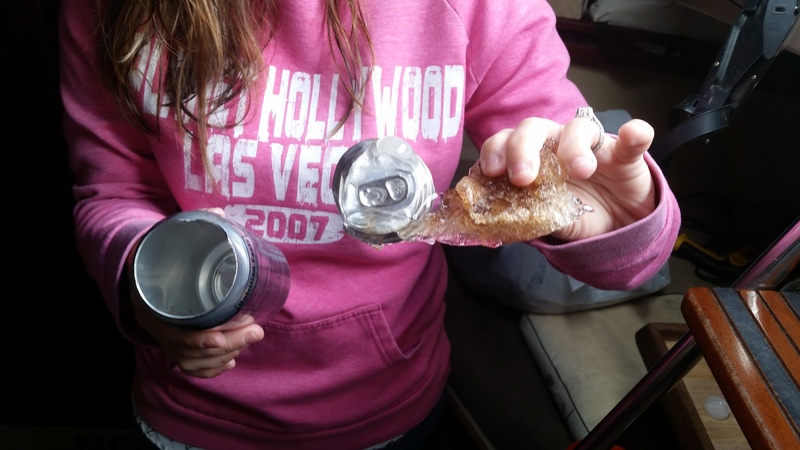 This week we discovered that one of the diet cokes had expanded and popped its own top. 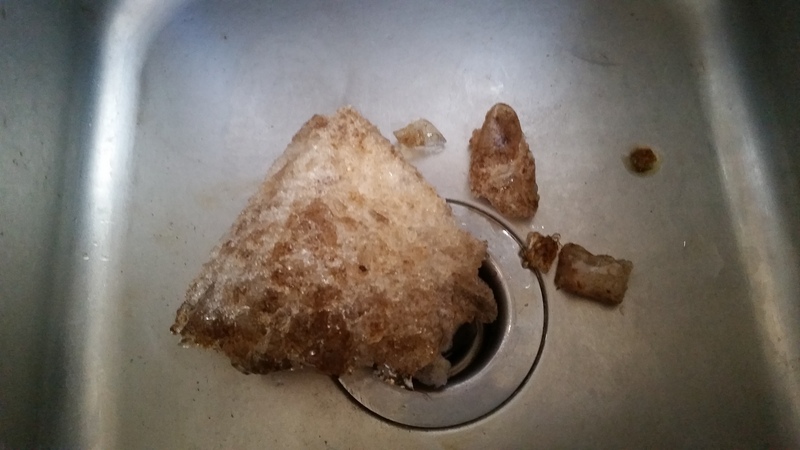 However, there was no mess as all the soda was just frozen together in a clump beside the can. I guess maybe it’s time to construct an insulated lid. ← Is it time to call the Dr. … LED? Sounds like it is time to insulate the lid! !